We are a Health & Safety Consultancy specialising in Asbestos Surveying and Fire Safety, our aim is to offer a cost effective, professional, skilled and speedy response to all health and safety problems including Asbestos surveys and removal which relate to your commercial property or residential property. We offer a first rate service to Companies, Commercial property agents, landlords and private property owners Nationwide. Absolutely amazing company. Efficient, easy to contact, arrived on time. The gentleman that came out was patient and polite. The assessment was extremely thorough. Also the price... half the price that i was quoted from two other fire assessment companies. Well done. Really quick, efficient service. When it comes to questions about asbestos, the most important answer you want is the right one, and without the suspicion that you'll get taken for a ride. 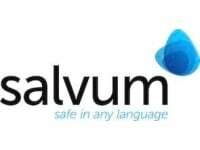 Knowing that Salvum meets this criterion, and that they could advise what next if necessary, was just what we needed. I needed an urgent Fire safety assessment carrying out. They pulled out all the stops and had Mohammad do it the same morning. Mohammad was excellent. Polite, courteous and helpful. Explained things clearly and answered all my questions without problem. I would use this company again. 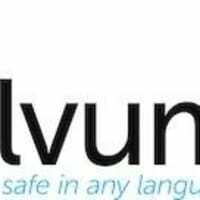 Salvum were very efficient, responsive, and easy to deal with. Edward did a fire assessment survey for us, and was punctual, polite, thorough and extremely helpful. We will use them again. Thank you for your kind review Anna. Had an asbestos survey done on the house we’re renovating. Glen was quick to get this booked in and Anthony was great onsite. Thanks guys!